The information age is changing how we experience the world and interact with it. This has implications for young people and their learning both in and out of the classroom. 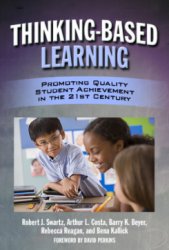 This book offers practical strategies for working with young people, helping educators and parents understand and react to this changing situation. The print dominated society led to linear thinking while the electronic world is interconnected, dynamic and ever changing. Linear thinking isn’t enough anymore. To be successful our children need additional skills. We introduce the concept of a tangible world and virtual world and show how to make the most of both worlds by staying safe, by knowing how to move within the highly stimulating, interconnected world of the internet as well as when to disconnect and think more deeply, to become skilful thinkers, who understand how they think. 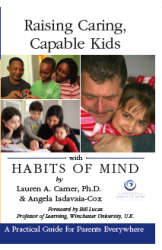 This book offers practical ways to develop and deepen thinking at home and at school with both curriculum content and real world home issues. We explore the power of well-formed questions and questioning techniques, the concept of mindset, the power of failure and the dangers inherent in the wrong kinds of praise. 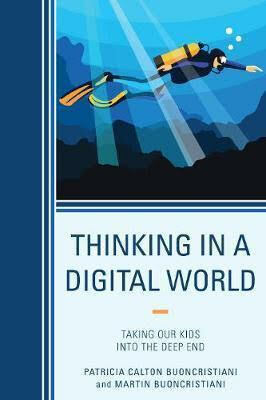 Copies can be purchased directly from Rowman and Littlefield via their web site (https://rowman.com/ISBN/9781475834932/Thinking-in-a-Digital-World-Taking-Our-Kids-into-the-Deep-End) or from Amazon.